On Saturday the 11th October, LAFI Burkina joined a whole host of other African artisans, musicians and fashion and food companies on Trafalgar Square for a day of celebrating the best of African culture. The Africa on the Square festival was a free festival to celebrate the best of African culture in Trafalgar Square for free, with live music, dance, fashion, food, family fun and more. The LAFI team arrived early to set up and slowly but surely, the sun came out and brought on a beautiful autumn day. The crowds filled the square all day, with African musicians and performers bringing central London’s most famous square to life. 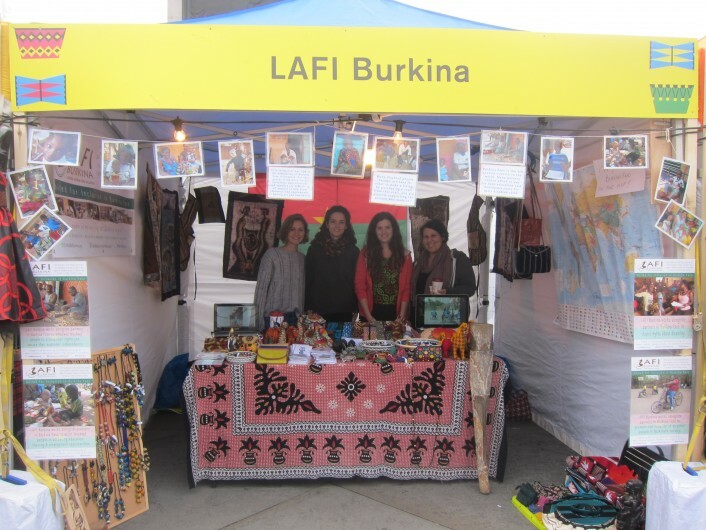 We were delighted at the amazing response – our stall was the busiest around all day, and so many people asked questions about disability in Burkina and about LAFI’s work and the work of our partners. Tigoung Nonma’s wonderful crafts were a huge hit too – we had so many remarks at their beauty and skilful craftsmanship. Customers were particularly impressed to be shown photographs of the artisans they were buying from. If only the Tigoung Nonma members could have been there to share it! Overall, we raised £50.40 raised for LAFI a massive £456.40 for Tigoung Nonma! Thank you so much to everyone who visited, bought a Tigoung Nonma craft or showed interest in our work.